Mona Meyer, a volunteer from the Communications Workers of America, picks up her door-knock route from Peter Polga-Hecimovich, St. Paul Regional Labor Federation political organizer. 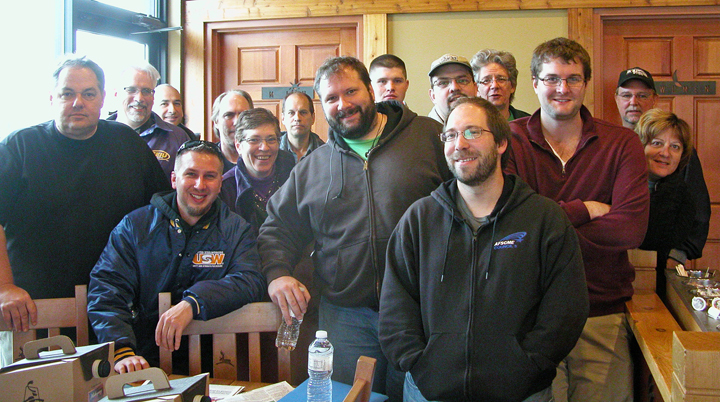 On a sunny Saturday morning Oct. 20, dozens of union volunteers trickled into a coffee shop downtown Burnsville. They paired up, gathered routes and handbills, and fanned out across the suburb, knocking on fellow union members’ doors and talking about their labor-endorsed candidate for Minnesota House, Will Morgan. Similar campaign activities have been taking place in Stillwater, Woodbury and other East Metro suburbs this fall, and they reveal a key strategy behind Minnesota unions’ Labor 2012 campaign: Building a better Legislature means winning in the suburbs. The St. Paul RLF, working with the Minnesota AFL-CIO and other union federations, has identified eight races critical to rebuilding a pro-middle class majority in the Legislature. Those candidates come from places like Shoreview, Stillwater, Woodbury, Eagan and Burnsville – places where “Tea Party” candidates swept into office two years ago, helping Republicans gain majorities in both the Minnesota House and Senate for the first time in decades. Despite winning by narrow margins in these suburban districts, freshmen lawmakers did not seek out the middle ground at the Capitol. Rather, many of them sought to push their party to new extremes, shutting down the state government, attacking collective bargaining rights and pushing Right to Work legislation that would undermine the middle class. Volunteers in Burnsville reported hearing a lot of frustration from union members they have talked to during door-knocks and phone banks. Find a list of labor-endorsed candidate – and sign up for a volunteer shift with your union – at www.middleclassmn.org. 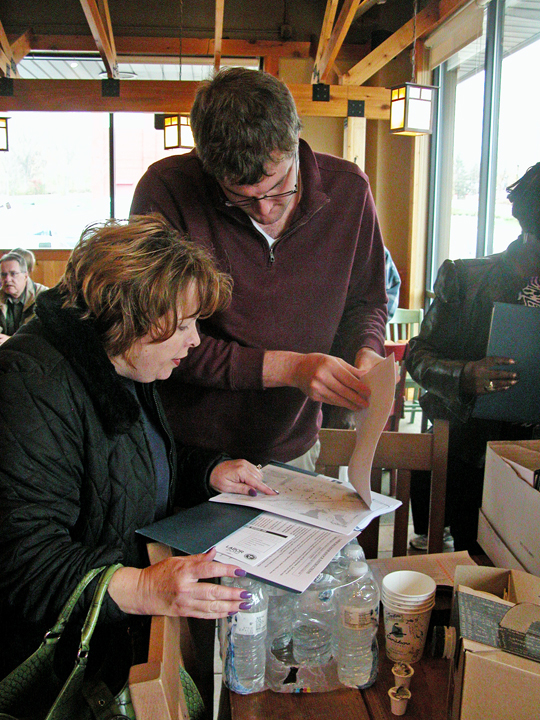 Labor 2012 volunteers gather in a coffee shop downtown Burnsville before a door-knock organized by the St. Paul Regional Labor Federation.